3 stars of solid ozploitation horror mystery. Next of Kin was originally released in 1982 and is available on Blu-ray for the first time in the UK courtesy of Second Sight. It is written by Michael Heath (Death Warmed Over) and Tony Williams (Solo), who also directs. 4 star journey from tacos to chopsticks. 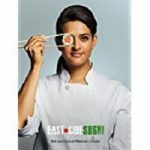 East Side Sushi is written and directed by Anthony Lucero and is his very impressive feature film directorial debut. 4 stars for this disturbing anti-christ horror tale. 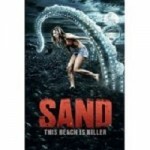 2 stars for this fun but pretty rubbish horror beach romp. 1 star for this wallowing and self indulgent romance. Buttercup Bill is written and directed by Emilie Richard-Froozan and Remy Bennet, who also stars in the film and it is their directorial debut. It is also the first production of Blonde To Black Pictures. 4 stars for this thought provoking mining drama. Little Accidents is the very impressive debut feature from writer and director Sara Colangelo. 3 stars for this slightly puzzling action adventure. 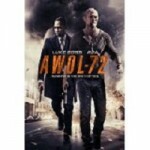 Written by Cecil Chambers (God’s Country, Desecrated) and Christian Sesma (Shoot the Hero, On Bloody Sunday) and directed by Christian Sesma, AWOL 72 is an action film which kind of wants to be a thriller, maybe even a mystery.